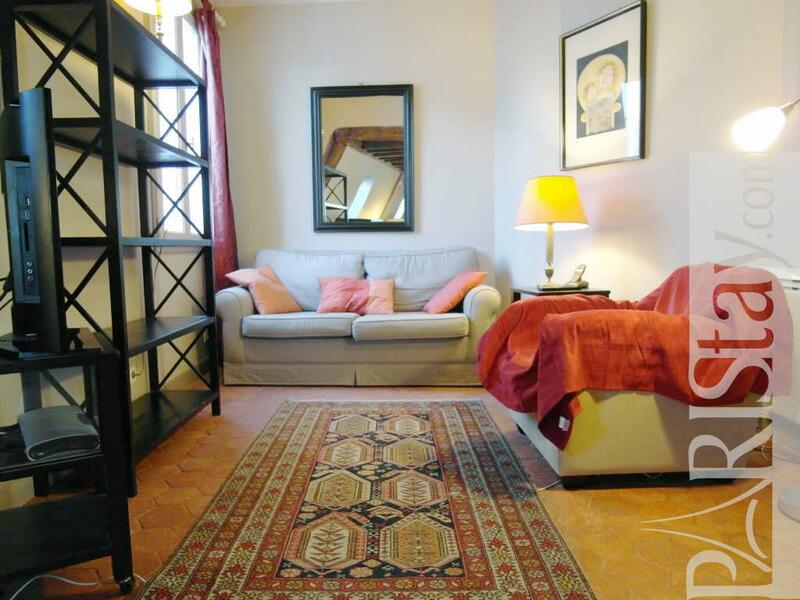 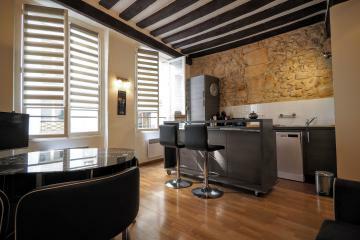 This authentic and charming one bedroom apartment is located in the heart of Paris, just off the famous Place des Victoires. 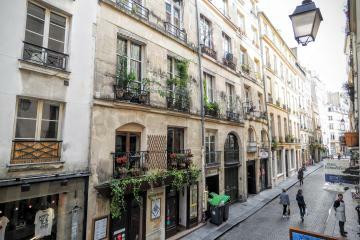 It is just a stone’s throw away from le Louvre, Palais Royal, and the Opera House. 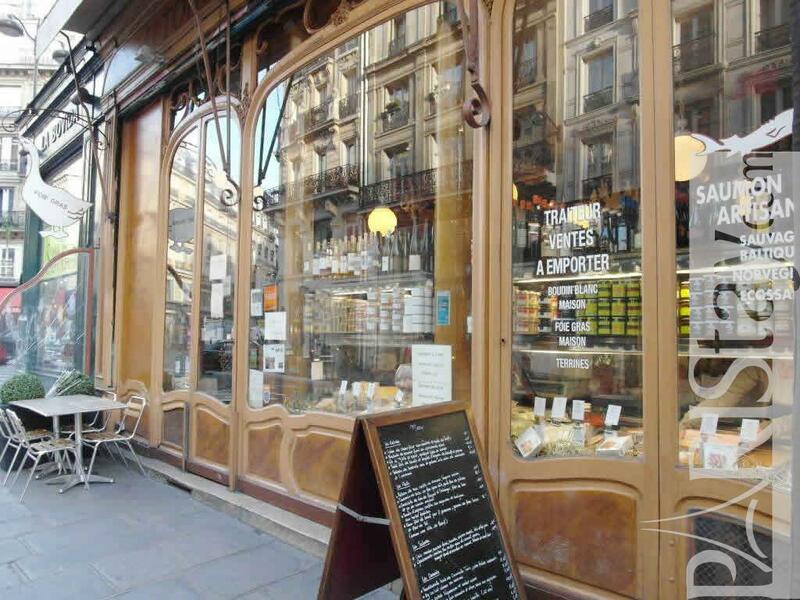 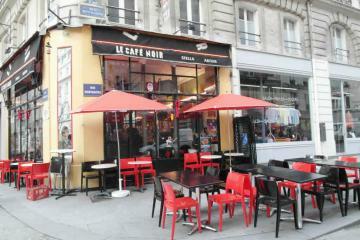 A lively area, full of bistros, cafes and restaurants, and one of the best Parisian food market on rue Montorgueil. Within walking distance to St Germain des Pres, le Marais and les Halles, you will be able to discover the real Paris by foot or alternatively by bus, taxi, or underground, all of which are located a 5 minutes’ walk away from your front door. 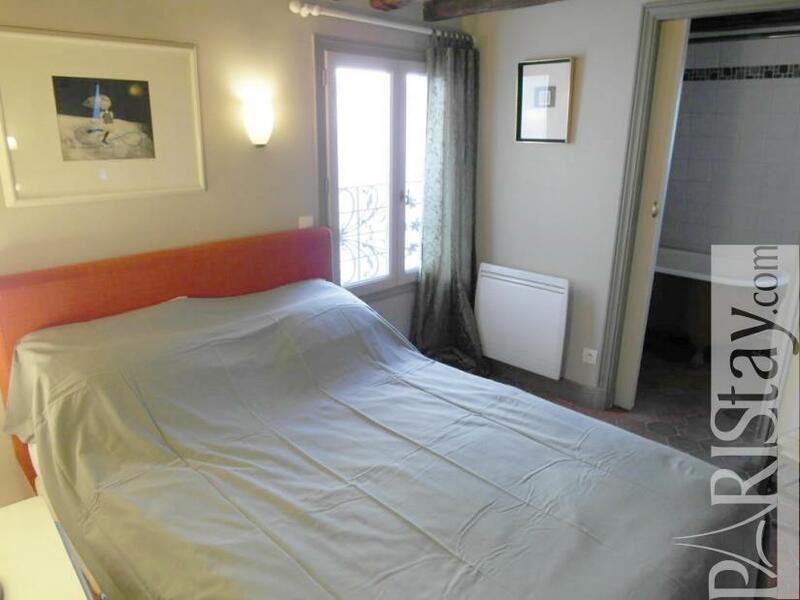 This Paris apartment long stay is fully furnished. 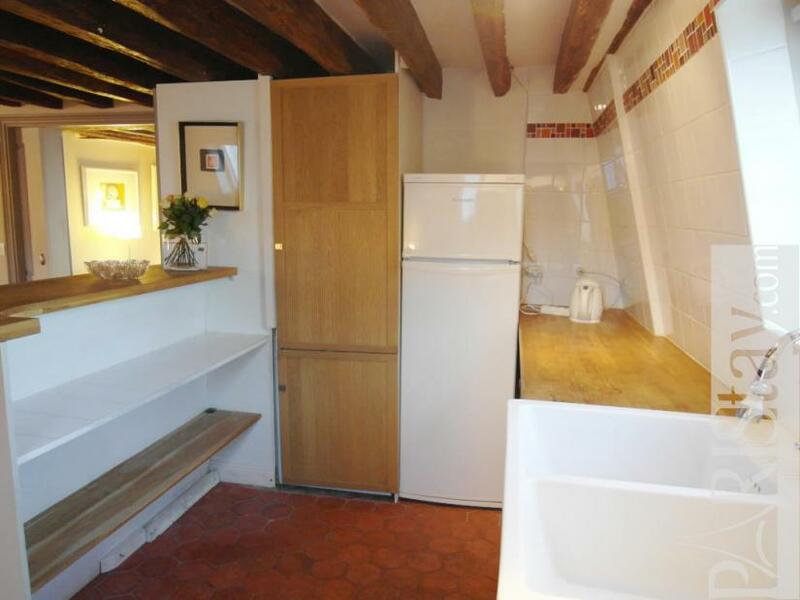 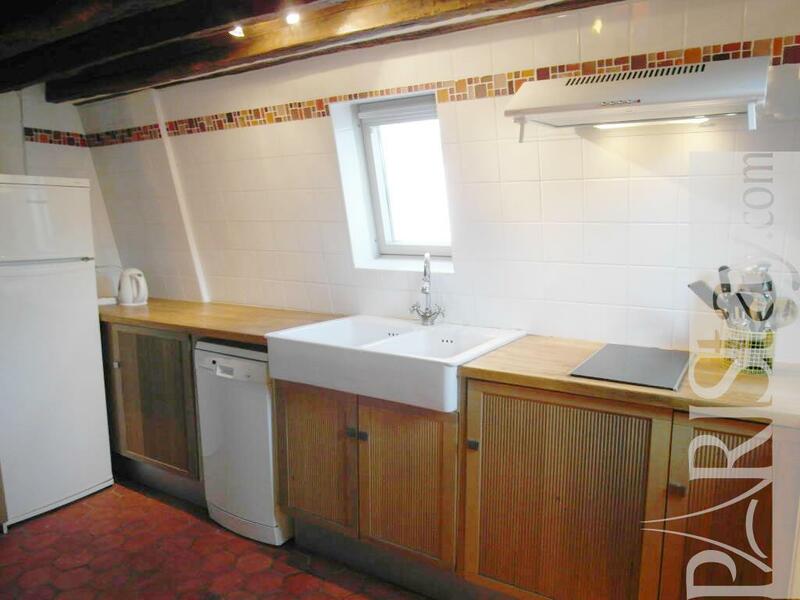 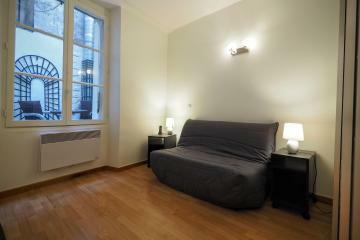 You will feel right at home in this charming flat which contains all the facilities you might need. 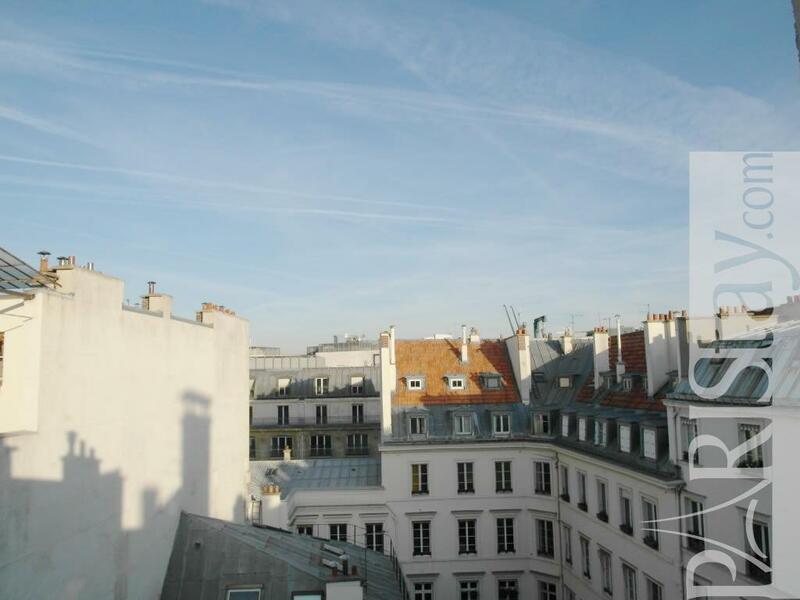 We hope you’ll have a wonderful stay in Paris! 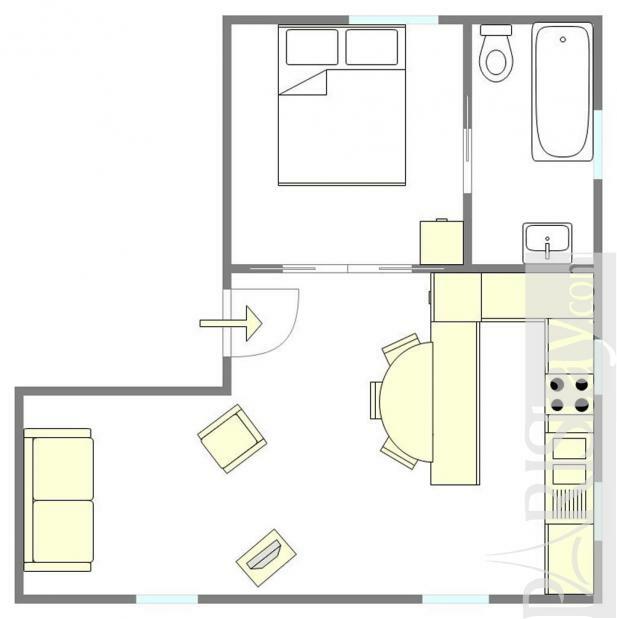 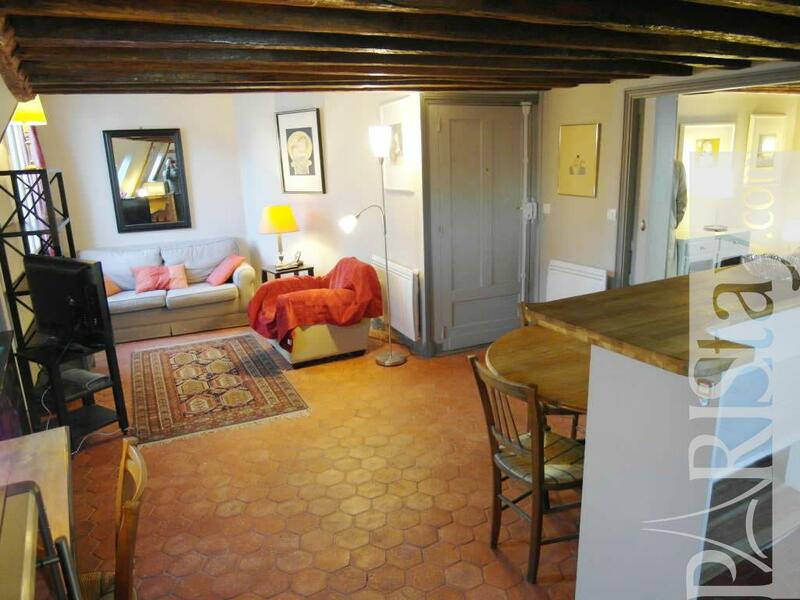 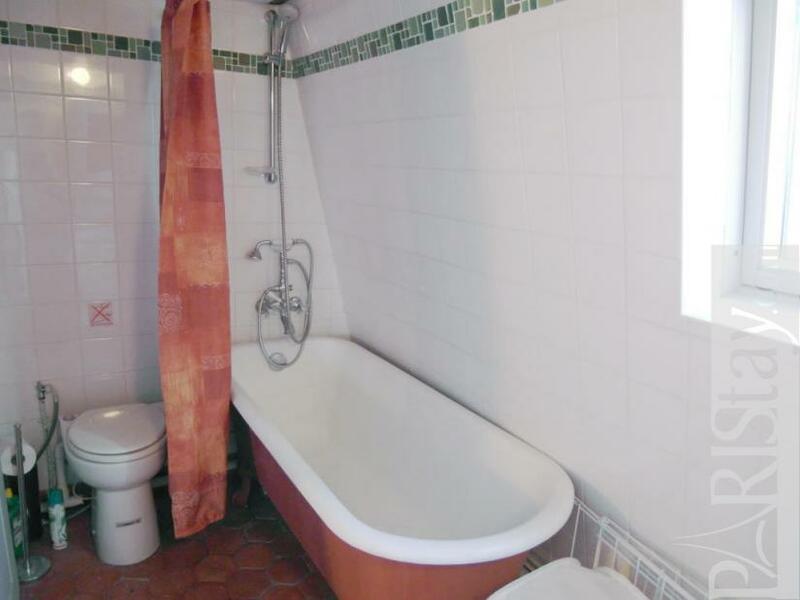 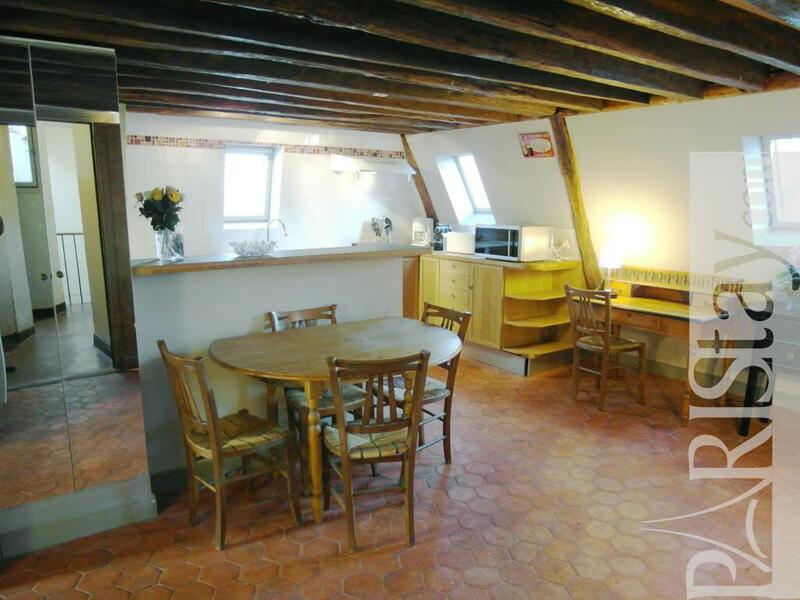 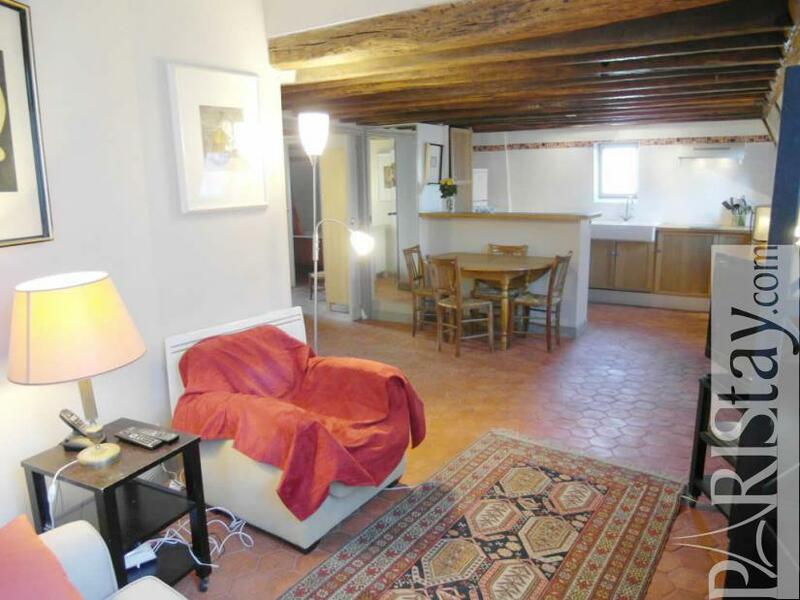 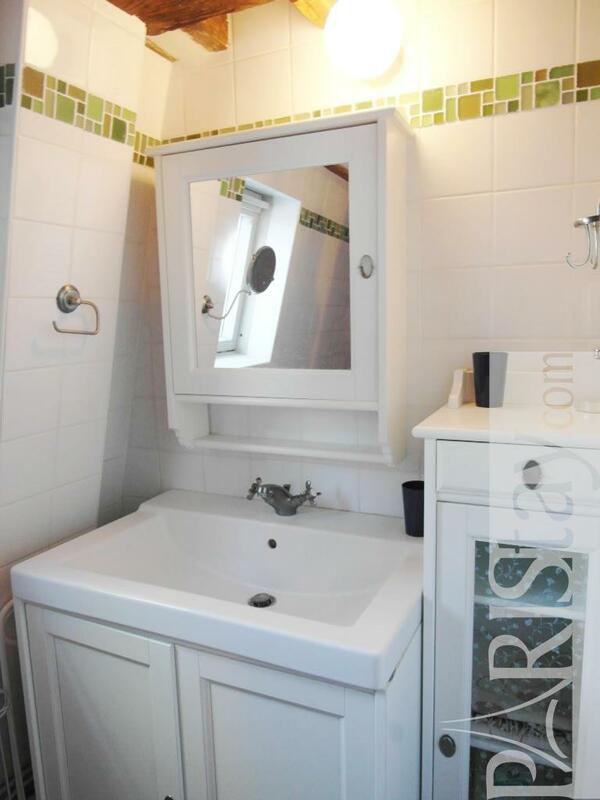 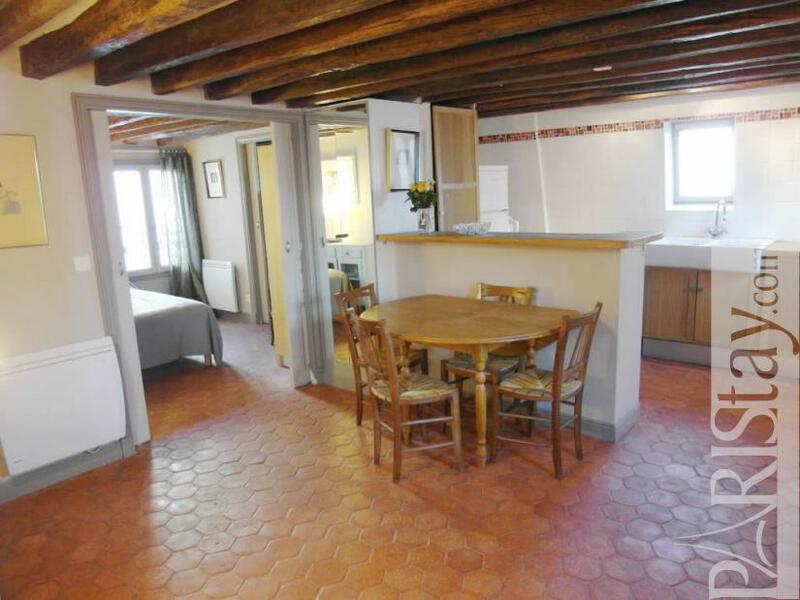 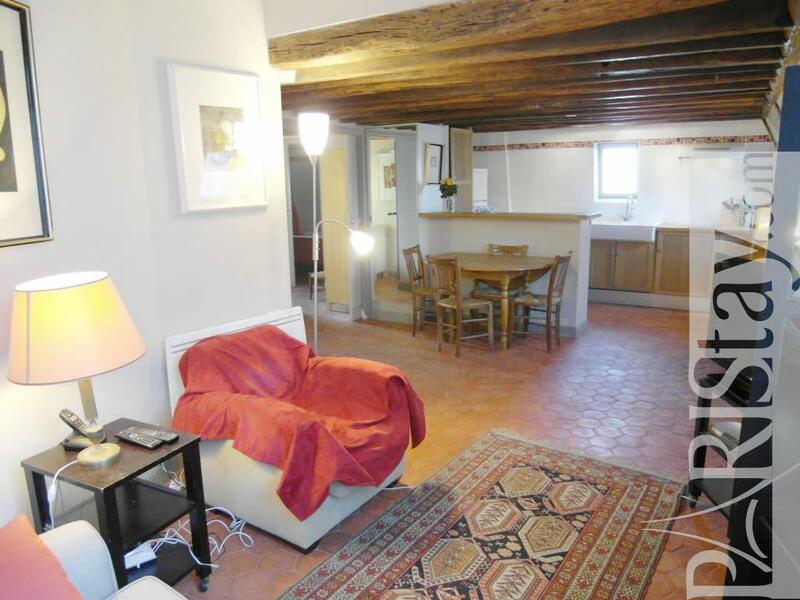 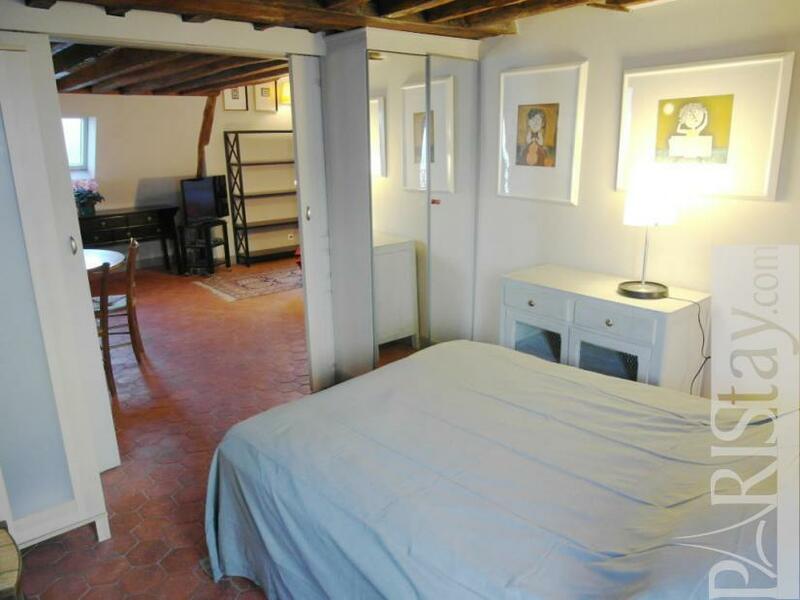 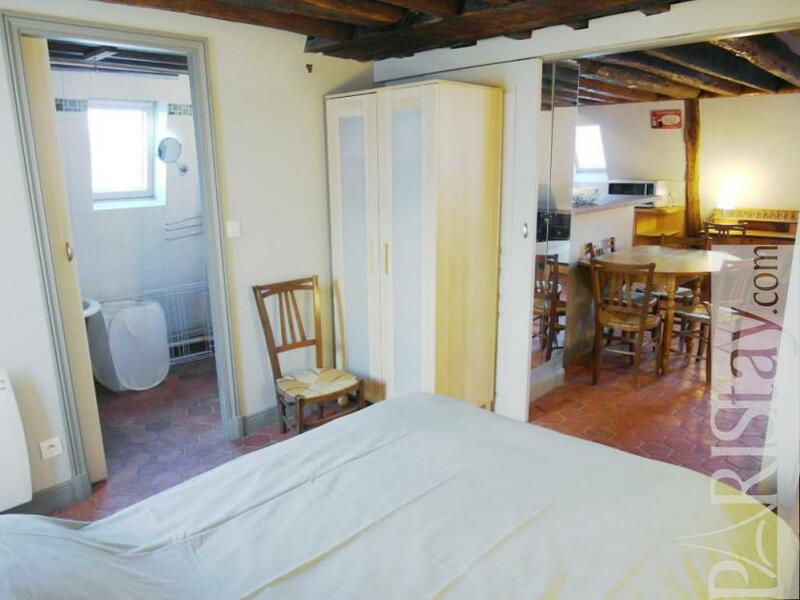 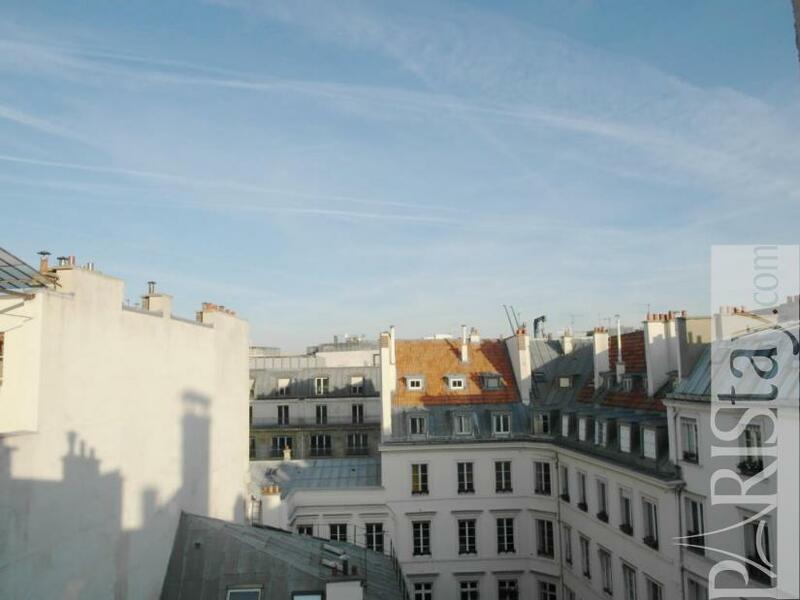 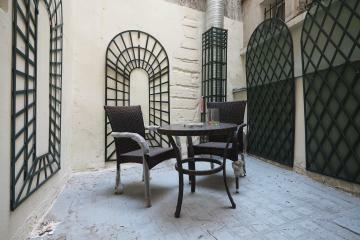 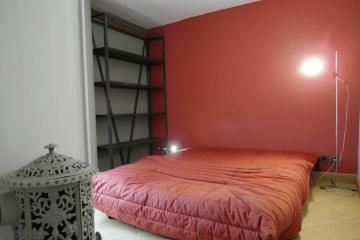 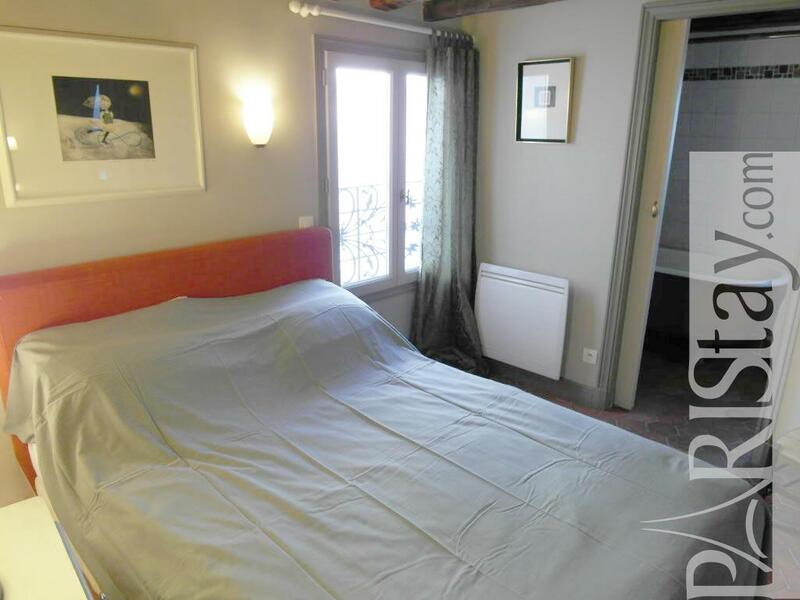 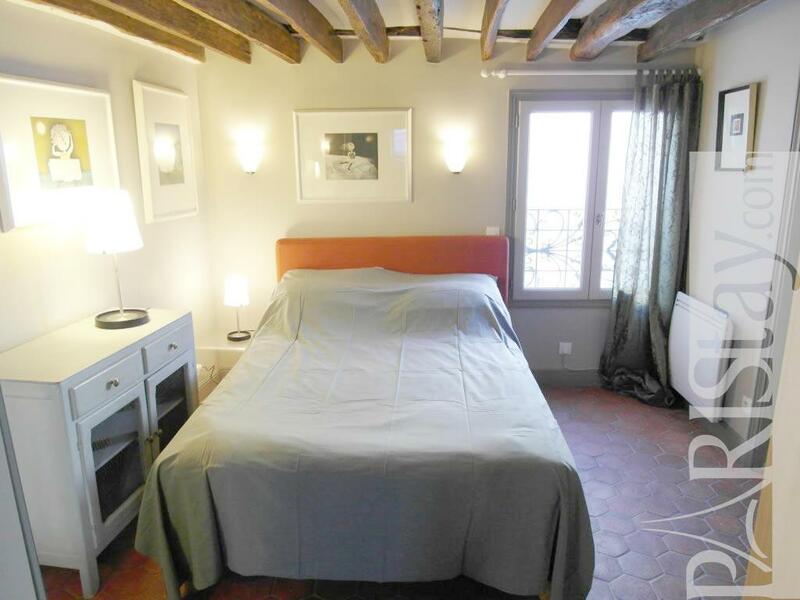 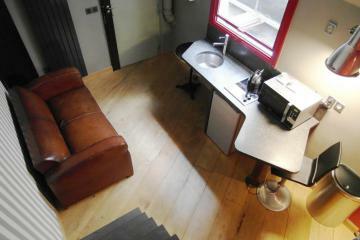 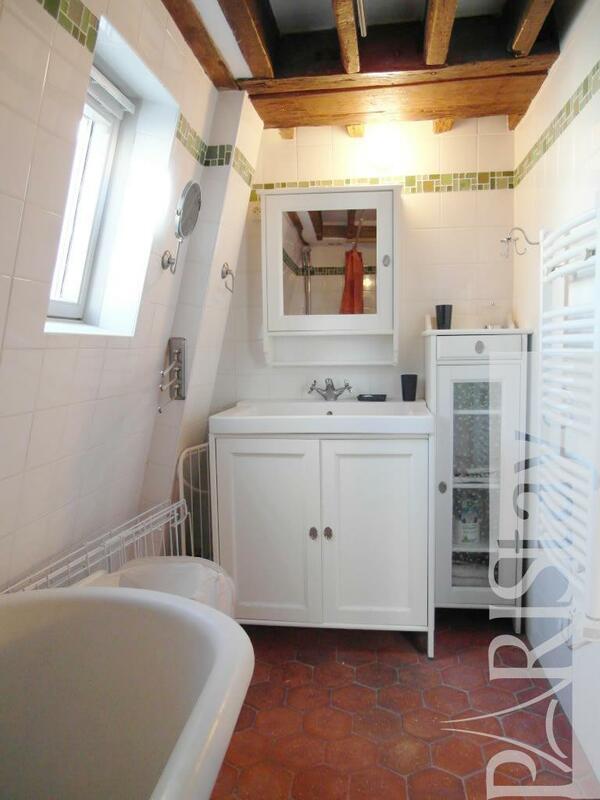 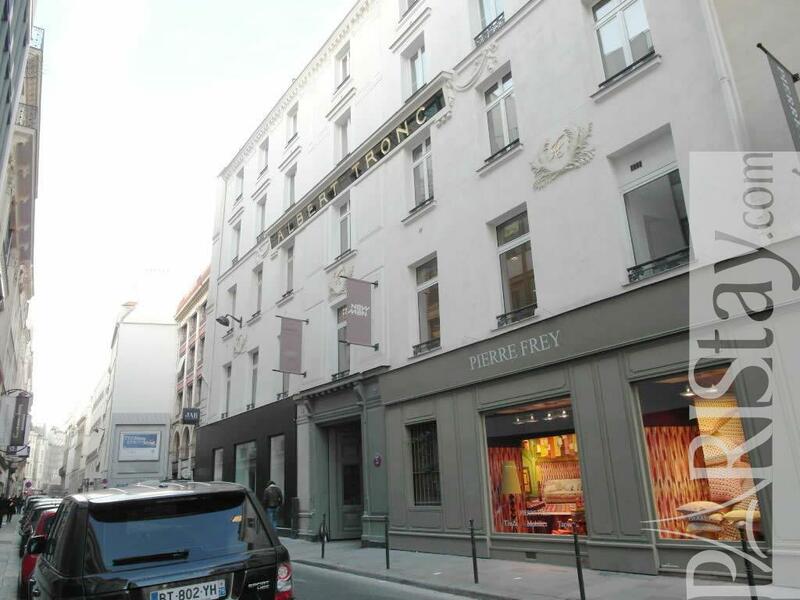 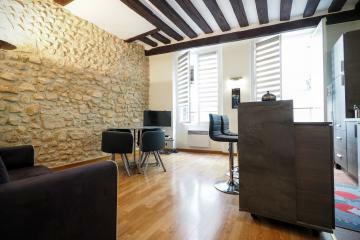 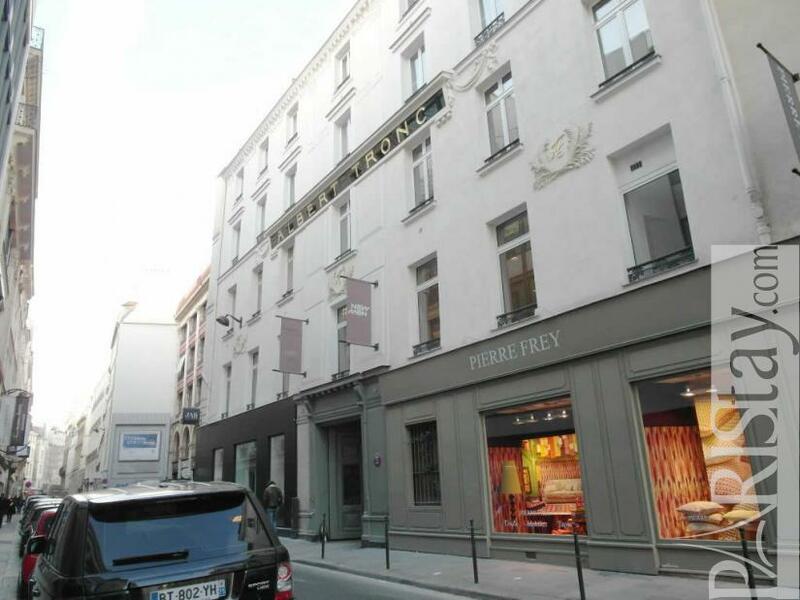 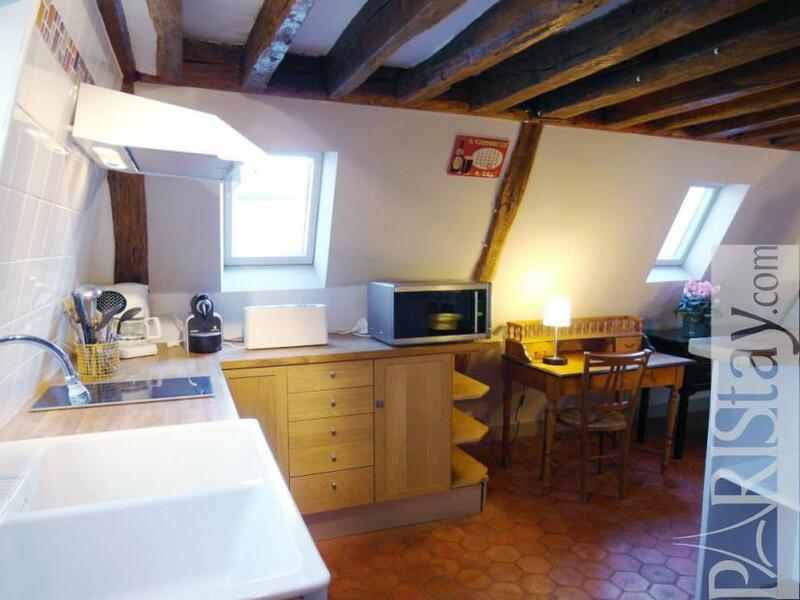 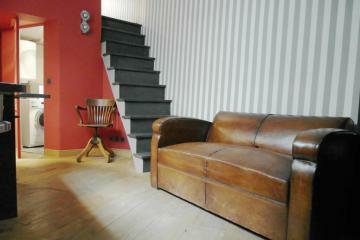 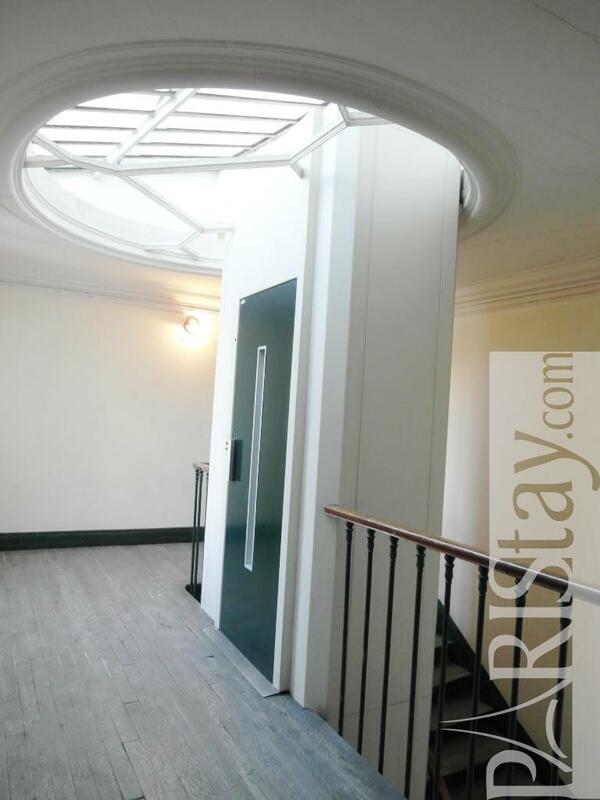 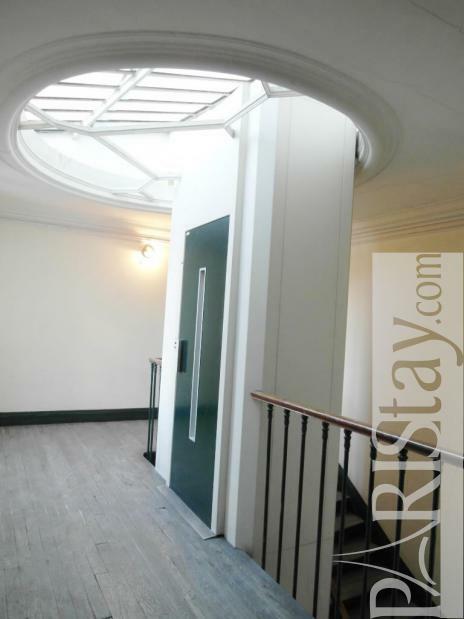 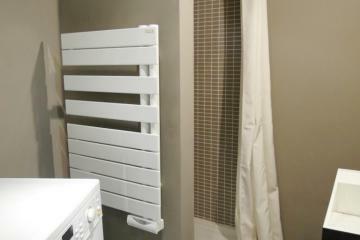 1780's Building, 6 rd floor, with Lift, 1 bedroom Appartement, furnished, Approx: 44m² / 473 Sq.Ft.